Porsche says Fast and Furious actor Paul Walker was responsible for his own death in a high-speed crash of a 2005 Carrera GT. Walker was a passenger in the Porsche driven by his friend when it hit a pole and burst into flames in November 2013. His daughter Meadow filed a wrongful death case in September claiming the carmaker took safety shortcuts. But Porsche has said the actor "knowingly and voluntarily assumed all risk" of being a passenger in the car. The star of the high-action Fast and Furious movies was "a knowledgeable and sophisticated user of the 2005 Carrera GT", Porsche said in legal papers filed last week. "PCNA [Porsche Cars North America] alleges that Mr Walker knowingly and voluntarily assumed all risk, perils and danger in respect to the use of the subject 2005 Carrera GT," said the manufacturer. It added: "The perils, risk and danger were open and obvious and known to him, and he chose to conduct himself in a manner so as to expose himself to such perils, dangers and risks, thus assuming all the risks involved in using the vehicle." Porsche also said in its defence papers that the car in which the actor was travelling, had been "abused and altered" and was "misused and improperly maintained". It adds: "At the time the subject 2005 Carrera GT was originally manufactured, sold and delivered, it comported with state of the art." After a four-month investigation following the crash on 30 November 2013, the police said the Porsche, driven by Walker's friend Roger Rodas who also died, was travelling at 94mph (151kph) in a 45mph zone when it hit a lamp post. Meadow Walker's legal claim contends the car was travelling much slower when it went out of control and that her father's seatbelt was defective. 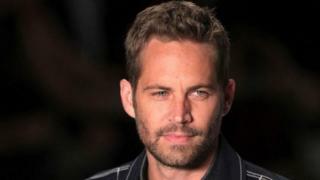 Ms Walker's legal documents allege the car lacked "features that could have prevented the accident or, at a minimum, allowed Paul Walker to survive the crash". In response to Porsche's defence, a representative for Ms Walker told TMZ: "It is beyond regrettable that Porsche is trying to deflect its own responsibility by blaming the victim, Paul Walker, for his own death by getting into the passenger seat of its Carrera GT. The statement continued: "Contrary to Porsche's assertions, the facts are clear: Paul was the passenger in a car that was not designed to protect its occupants, in a crash on a dry, empty straightaway in broad daylight and at speeds well below the vehicle's advertised capabilities." Mr Rodas' widow filed a similar case last year, but Porsche said the crash was his fault, rather than down to design flaw.